Focus Photography December 29, 2018 Welcome! Whether you're looking for a photographer for your wedding, you love black and white pictures of babies, or you're here because we photographed someone you know, we'd love to invite you to look around our site. Hire Your Maine Wedding Photographers! We believe that every senior we work with is unique and attractive in their own way, and wants to be portrayed as the individual that they are. We don't do makeovers and we don't do glamour shots - we photograph seniors as themselves but at their best, and we showcase the many sides of their personalities and the talents and skills they've worked on for years. It's not about smiles, locations, or cutesy props from pinterest. We believe the most important part of couples' portraits is the connection that exists between you and your other half, and the bond that holds you to each other. Maybe you've forgotten exactly what that glue is, but we'll help you rediscover it, then immortalize it in a beautiful image for all the world to see. We know from our own families, that next year is not a given, and that nothing is more valuable than our relationships with our families. That's why we put so much effort into family portraits, and why we'll treat your family like they were ours. We're committed to helping couples that would normally be less-than-comfortable in front of a camera lens create a tremendous assortment of romantic, fun, and natural portraits on their wedding day, without it ever being awkward. 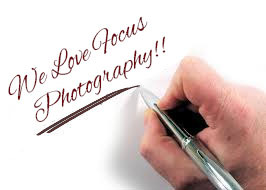 You, your family, and your wedding party will enjoy working with us, and we guarantee you'll love your wedding images! There is no greater miracle than the transformation of a woman's body during pregnancy. Our belly portraits celebrate the beauty of your transformation, and the connection you as a couple feel to your unborn child. We have a unique technique for maternity pictures that flatters the female form. We literally showcase the beauty of pregnancy with soft lighting while hiding any extra weight or stretch marks with shading. You just had a baby - we're not going to ask you to clean and declutter your house so we can photograph your baby there. We have a peaceful and private photography studio, away from the malls and crowded baby stores, where you can relax and sip a tea while we create adorable images of your baby. Now we'd like to invite you to come in to our studio, both here on the web, and in the real world, so we can give you a tour of what we do. If you cherish images of your family that make you feel warm and connected; if you need images of yourself that highlight your best features; and if you value artwork you'll be proud to display in your home - Welcome.